The Black Feathers have spent the last couple of years garnering a positive reputation on the gig circuit both in the UK and the US. While the importance of getting your music out live to existing and potentially new fans cannot be understated, serious progress can only be achieved when dates are supplemented with a physical release. 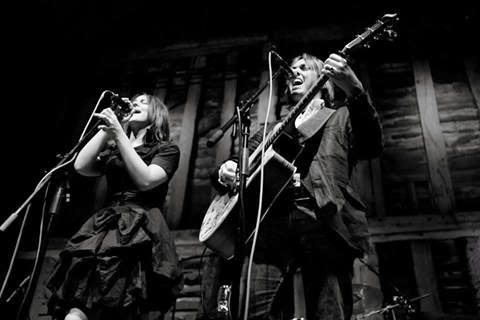 The Gloucestershire based duo have now rectified this omission from their offering with a tantalising short collection of songs rich in the influence of a sound successfully blending the subtleties of English folk and rural Appalachia. STRANGERS WE MEET is a striking assortment of beautifully crafted songs brought to life by the gorgeous harmonies of Sian Chandler and Ray Hughes. The twin vocals and solitary guitar of Hughes no doubt give the songs a sparser sound in their intimate gig surroundings but the guys have just about got the balance right for the recorded versions with an agreeable addition of various acoustic and electrified instruments. This fuller production gives a fine bunch of tracks an added vibrancy to boost the listening experience and raise potential for extended airplay. This release is granted EP status by virtue of its five tracks and the quality over quantity policy will lead to a growing call for an extra serving of Black Feathers’ fare. Comparison to The Civil Wars is no case of hyperbole although hopefully this doesn’t extend to unfortunate acrimony. Each number flows eloquently from the deep song writing well of Sian and Ray and possesses an acute sensitivity to capture an entrancing mood of inspirational elegance. Selecting a top pick from the record is an unnecessary activity as a thread of high quality consistency weaves throughout the engaging twenty minute listening exposure. This does not undermine each song’s individual redeeming features from the haunting title track which introduces an awe inspiring vocal blend to the more uplifting ’10,000 Times’ with an hint of aggression raising the tone and driven along by Steve Lawson’s electric bass. ‘Open Book’ adopts a more tender approach with a sentimental backdrop while ‘You Will Be Mine’ carries on a similar theme with Sian owning the vocal presence a touch more than the other tracks. An increased urgency accompanies the final song ‘All Came Down’ with a breezy manner and a greater prominence of violin and mandolin. STRANGERS WE MEET is sure to meet approval with an ever increasing band of music fans who like to mix the worlds of folk and Americana. The record has the potential to give The Black Feathers a shot in the arm in presenting their music to a wider public. There is much to admire in their gratifying approach to making music and the sumptuous vocals are born to absorb. 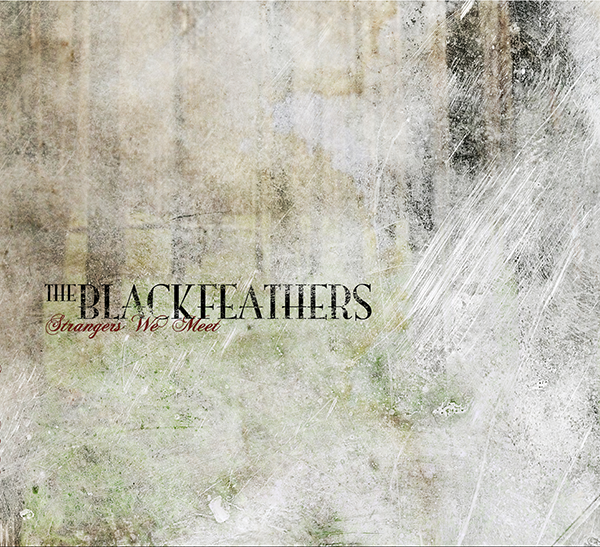 Bookmarking The Black Feathers will just be the start of a beautiful relationship with their music.